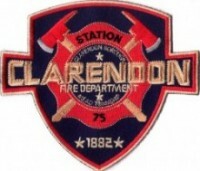 It shall be the mission of the Clarendon Fire Department to deliver to the citizens and property owners of Clarendon Borough and Mead Township – in a competent and professional manner – a combination of proactive and reactive fire, rescue and emergency services that will provide the highest degree of protection from the dangers of modern day emergencies while insuring the safety, education and well being of all members. Current Projects/Needs: Projects/Needs: We are raising funds for the purchase of firefighter turnout gear that is 20 years old. It costs nearly $4,000 to outfit one firefighter from helmets to boots and we hope to replace 20 sets of gear in 2017. If we are unable to raise the funds, our members will wear coats and bunker pants that are not as fire resistant as new.